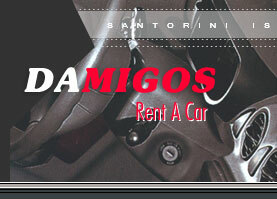 Damigos Rent a Car is an 'ALL YEAR ROUND CAR & BIKE RENTAL company in Santorini. 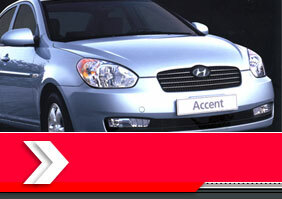 The Car & Bike Models are new, service is excellent, and Damigos Rent A Car provides FREE DELIVERY & PICK UP on your arrival to Santorini from either the airport or port. CONVENIENT COLLECTION POINT : Our offices are 50 meters from the Cable Car terminus in Fira on the main road. 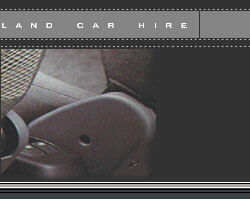 If you are visiting Santorini for the day with one of the cruise ships, pay us a visit & we will fix you up with a car !! !